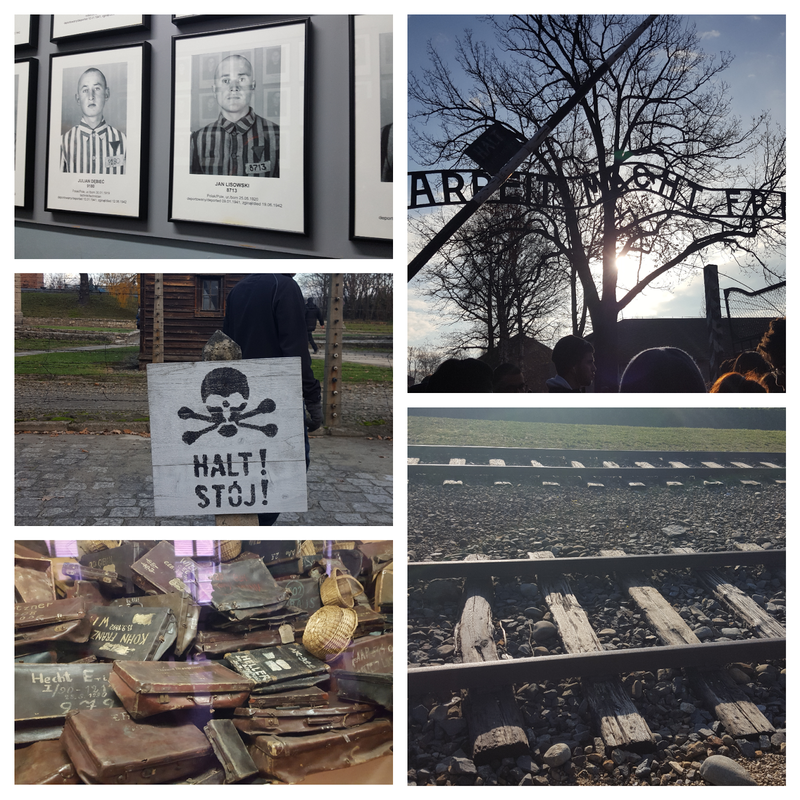 My main reason for visiting Krakow was to see Auschwitz concentration camp. It is in a town 1 hour away from Krakow called Oswiecim. I tried to prepare myself by watching the movie "Schindlers List" before my trip. But nothing could ever prepare me for what I was about to see. The entrance of the camp is labelled with the words "arbeit macht frei" (work sets you free). Most of those people would never be free, nor would they even have the opportunity to work. I saw many things that made me feel physically sick. I heard many stories that made me feel physically sick. One of the pictures above shows a pile of suitcases taken from the Auschwitz victims before they were gassed. Their names and places of birth were written on the suitcases. I saw a display case full of hair from the victims. Their heads were shaved and the hair was used to make socks and cushions. I am still struggling to understand how human beings could be so evil. The first photo shows pictures of the victims, the date they entered Auschwitz, and the date they died. There was a man who only survived three days. I have been back in England for 2 weeks but I still can't get the images of those prisoners out of my head. I deliberately went to Auschwitz in the winter, so that I could try to imagine how cold they felt. Dressed in nothing but a pair of striped pyjamas. I could go on for days talking about this place, but that is not the purpose of this post. I just want to stress how important it is to see this place. I think it is something that every human needs to see. There are so many horrible things going on in the world and I would hate for something like this to happen again. I just wish that humans could be at peace with each other.